Whistler continues to build its incredible base ahead of the Olympics, with healthy falls through the past seven days meaning another 1.2m (4 feet) has fallen. Whitler's seasaon-to-date snowfall is noew already nearing 7 metres (21 feet) and its mid-mountain base 2.5m (8.3 feet). Currently it recommends The saddle Gs course as one of the best on the mountain. Eastern Canada is also looking good. 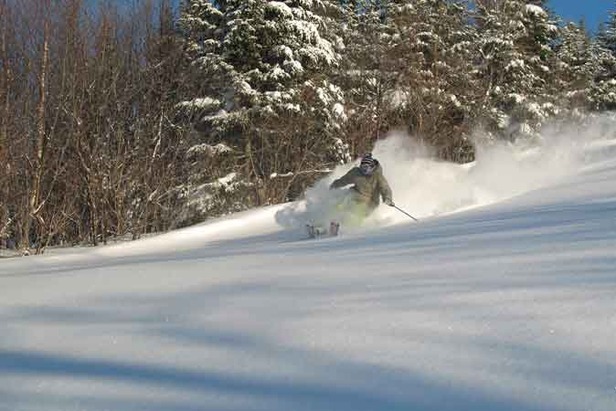 Mont-Sainte-Anne has the largest open terrain in the Province of Quebec with 30 slopes open and nearby Stoneham Mountain Resort is following close by with 9 slopes. In total, almost 50km of slopes are available to skiers and riders, in addition to the 109km of XC trails open at the Mont-Sainte-Anne Cross-country Skiing Center! The low temperatures of last week allowed Mont-Sainte-Anne to pursue its snowmaking efforts with 100% of its system in operation. Snow guns have now been moved to the mountain's expert terrain to open a maximum number of runs for the holidays. So far the resorts have received 143 cm of snow.